When a FC target port is disabled it is switched to initiator mode. When enabled it is switched to target mode. 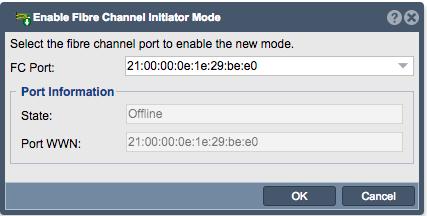 Additionally you can setup ports to be in both initiator and target mode at the same time. See the dual-mode FC configuration document for further information. This page was last modified on 23 July 2018, at 16:16.